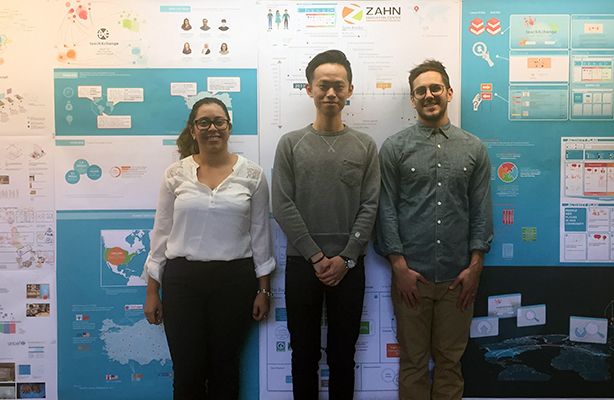 Three groups of SSA students in the BArch and MArch programs in Professor Suzan Wines’ fall 2017 Advanced Studio are among the four groups of finalists for the 2018 Zahn Social Impact Prize. 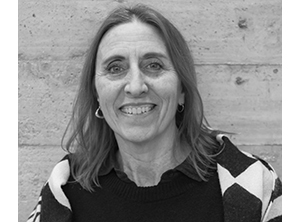 Professor Wines’ studio explored the ways in which architects can apply their strategic thinking and design skills to long-term solutions for problems faced by the 3.2 million Syrian Refugees living in Turkey. Since 90% of Syrians are living among the host population in urban areas outside of camps, the studio focused on educational needs. The prize is given by the Zahn Innovation Center, an incubator located at the City College of New York. The Bio-Bowl team is comprised of Carme Azor, Alex Centeno, Wendy Lee Fang, Genti Taga, and Nitasha Tiene. They have developed an anaerobic digester that turns organic waste into fertilizer and renewable energy. The Listen! 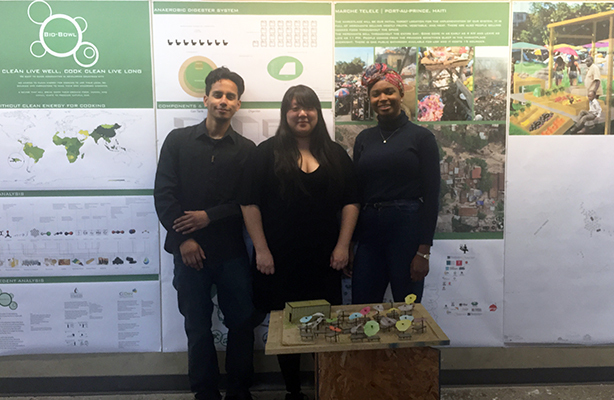 team is comprised of students Jennifer Bustamante, Juan Peralta, Gravita Sharma, and Stephanie Zhao. 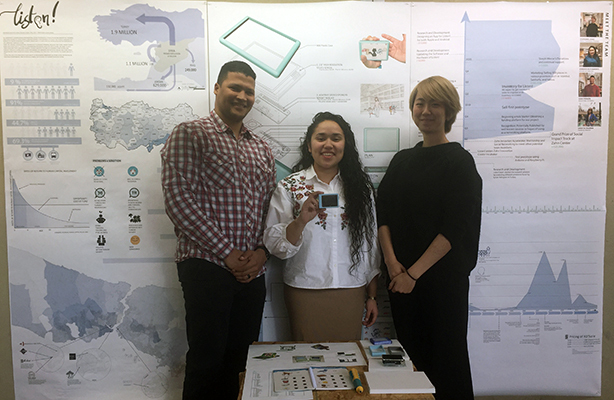 They have developed a hand-held audio device that teaches basic vocabulary and language structure for children in refugee camps. The TeachXchange team is comprised of Jasper Lai, Aisha Meah, Lena Quinn, Stephanie Salazar, Berk Sönmez, and Karina Sönmez. They have developed a tool for educators that provides access to social emotional learning content for under-resourced communities. We wish all the teams the best of luck and we will update you on developments as the competition moves forward.